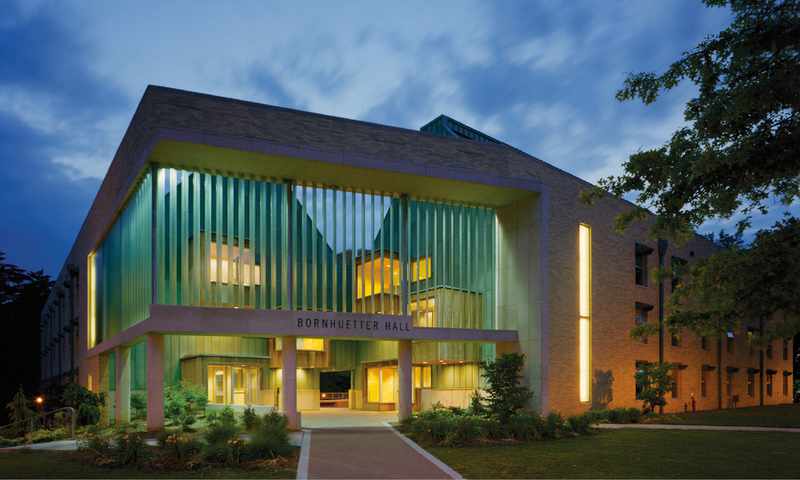 This residence hall at the College of Wooster houses 185 students, a director’s apartment, seven lounges, six study nooks and a large multipurpose room. 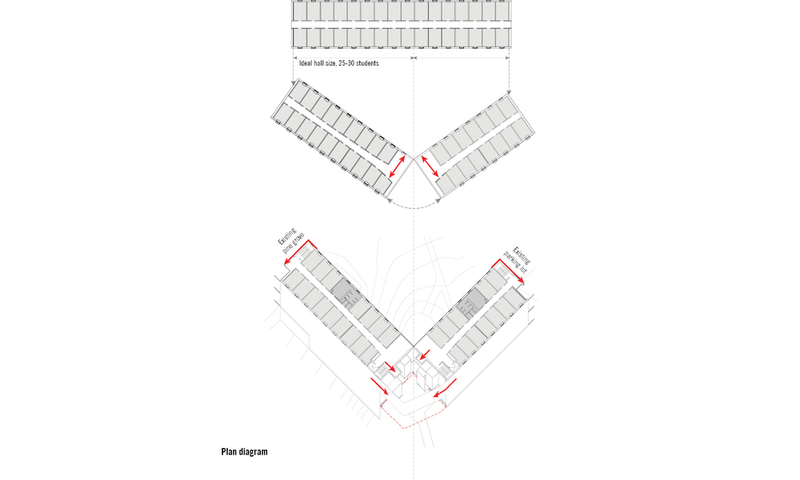 LTL’s design for Bornhuetter Hall enriches the academic experience of this liberal arts college by providing a balance between private spaces for study and public gathering areas for communal discussion. The hallways, designed to encourage social interaction, widen at the ends to embrace public lounges and intimate sitting areas. 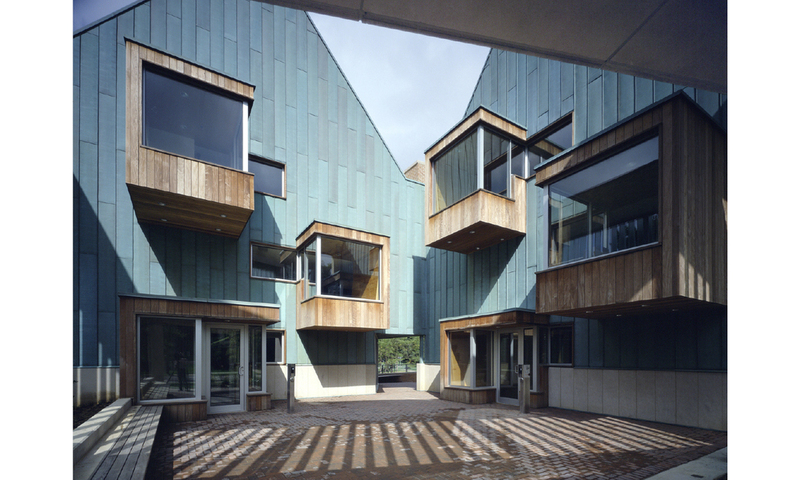 In order to insure that each hall fostered a sense of community (25-30 students per hall), the building is made of two separate wings linked by an outdoor courtyard. The outdoor courtyard is the heart of the building. It provides a social center, a place of gathering and a means to pass through the building to the park area behind the building. 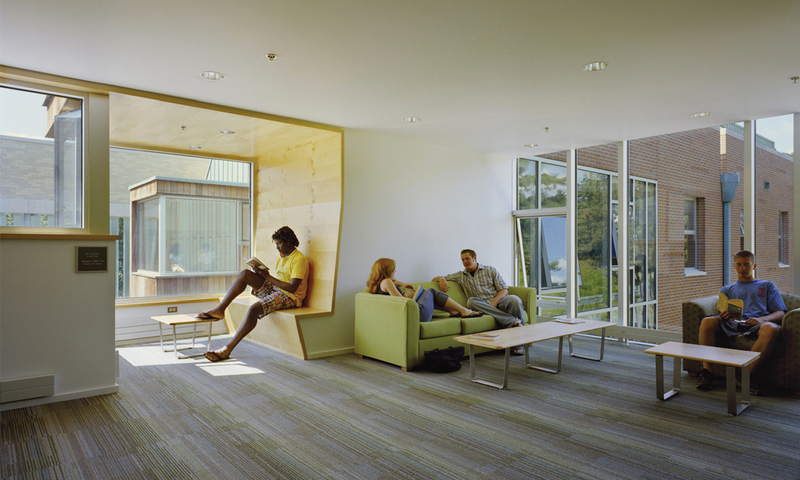 Wood-clad study nooks cantilever like box seats into this theatrical space, producing a dramatic entrance to the building and establishing private study areas in a collective setting. 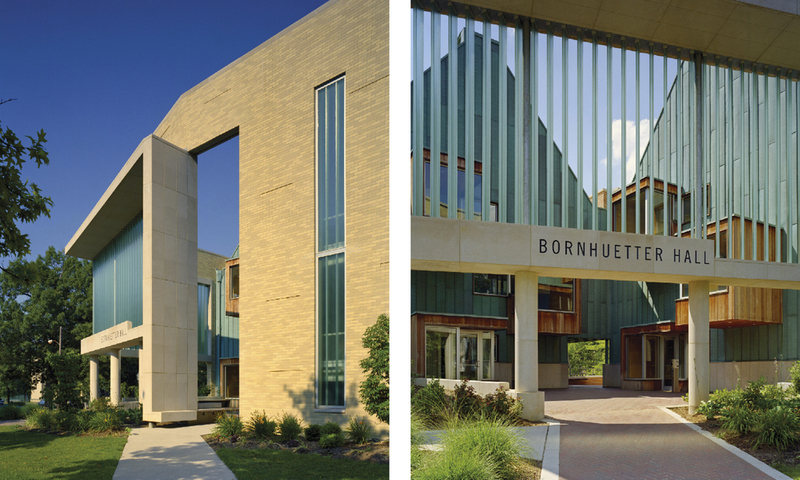 Bornhuetter Hall is an innovative building that integrates into the campus while producing a contemporary environment for students.